At the University at Albany School of Public Health, the academic pursuits and research efforts of both faculty and students are grounded in real-life, practical experiences that reflect current public health issues and concerns. 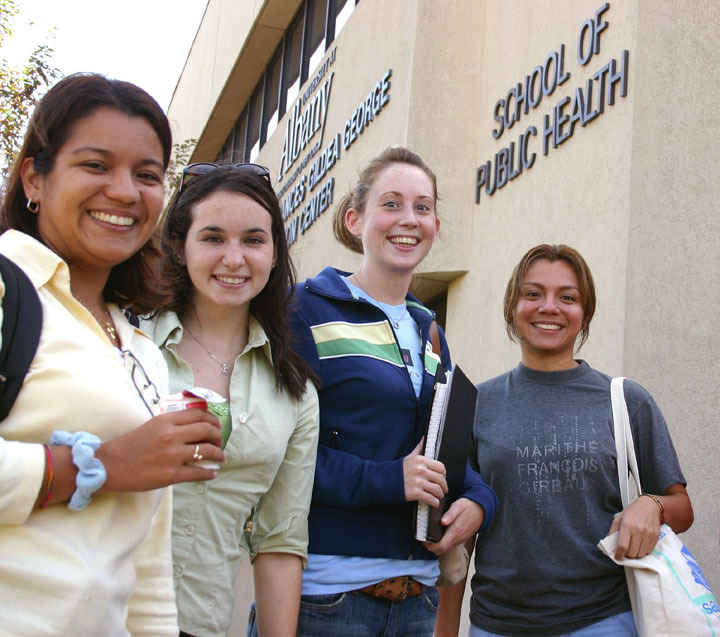 The unique partnership between the School of Public Health and the New York State Department of Health (NYSDOH), collaborations with the regions’ public health and healthcare organizations and affiliation agreements worldwide provide for rich, varied and meaningful internship opportunities. Our faculty experts focus on topics including childhood obesity, environmental health and safety, nutrition, chronic illness, health reform, diagnosis and treatment for cancer, healthy aging and global health issues such as clean water, HIV and AIDS. The school offers MPH, MS, DrPH and PhD degrees in five academic areas and offers a fully online MPH in public health practice. Faculty, students and graduates work in our community, our state and throughout the world.